It's a good case, i got it with a 50% off discount a couple of days ago. It's nice, looks premium, feels nice in hand, it's slimmer than i imagined (thinking it's the same thicknesses and bulkiness as Spigen Neo Hybrid). The huge plus it's the grippy sides which are very useful when you pick the phone with only 2 fingers as i ususually do, that's the best feature of this case. Though on the down side, which is just a very insignificant thing and maybe it's just a small fabrication issue, i have to say that on the right side the plastic bumper doesn't "stick" as it should on the TPU case and makes a barely noticeable sound when picking up the phone from that area, but again, it's something insignificant, i might add some glue there so it won't move in time. Also a small issue would be that if you use a glass protection screen foil, the case's lip it's exactly on the same level as the glass foil and that can cause a break of the foil if the phone is dropped face down, but that's just an assumption of mine. 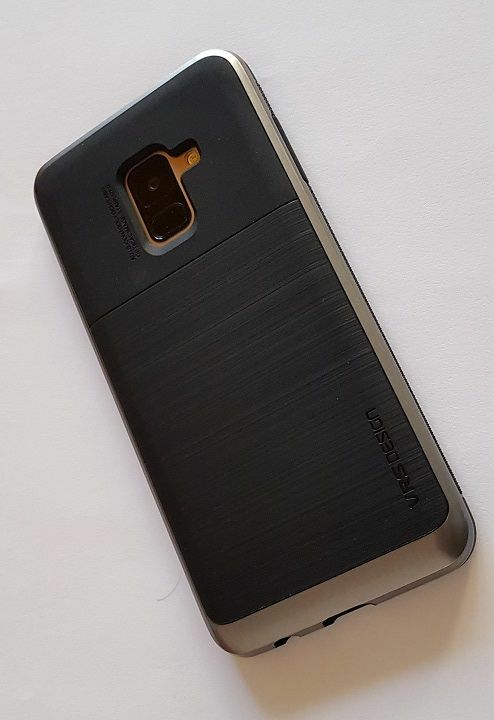 All in all, a very good high quality premium looking case. Very very nice and comfortable case.